A timely study that puts current issues—religious intolerance, immigration, the separation of church and state, race relations, and politics—in historical context. The masthead of the Liberator, an anti-Catholic newspaper published in Magnolia, Arkansas, displayed from 1912 to 1915 an image of the Whore of Babylon. She was an immoral woman sitting on a seven-headed beast, holding a golden cup “full of her abominations,” and intended to represent the Catholic Church. Propaganda of this type was common during a nationwide surge in antipathy to Catholicism in the early twentieth century. This hostility was especially intense in largely Protestant Arkansas, where for example a 1915 law required the inspection of convents to ensure that priests could not keep nuns as sexual slaves. 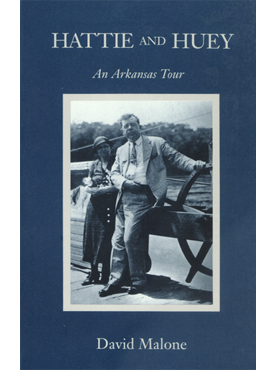 Later in the decade, anti-Catholic prejudice attached itself to the campaign against liquor, and when the United States went to war in 1917, suspicion arose against German speakers—most of whom, in Arkansas, were Roman Catholics. In the 1920s the Ku Klux Klan portrayed Catholics as “inauthentic” Americans and claimed that the Roman church was trying to take over the country’s public schools, institutions, and the government itself. In 1928 a Methodist senator from Arkansas, Joe T. Robinson, was chosen as the running mate to balance the ticket in the presidential campaign of Al Smith, a Catholic, which brought further attention. Although public expressions of anti-Catholicism eventually lessened, prejudice was once again visible with the 1960 presidential campaign, won by John F. Kennedy. Anti-Catholicism in Arkansas illustrates how the dominant Protestant majority portrayed Catholics as a feared or despised “other,” a phenomenon that was particularly strong in Arkansas. 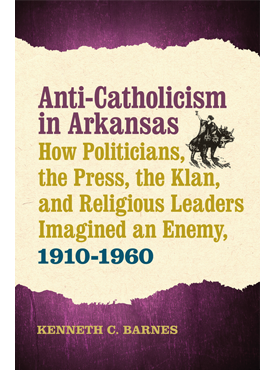 “UCA professor writes book on history of anti-Catholicism” in the Arkansas Catholic. Kenneth C. Barnes is professor of history at the University of Central Arkansas. He is the author of Who Killed John Clayton? 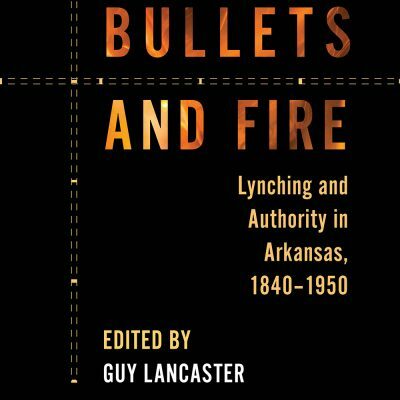 : Political Violence and the Emergence of the New South and Journey of Hope: The Back-to-Africa Movement in Arkansas in the Late 1800s. 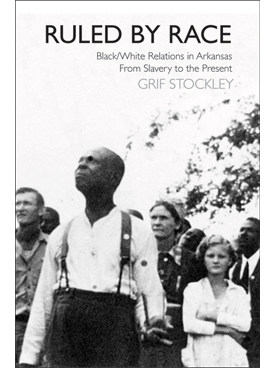 —Jeannie Whayne, author of Delta Empire: Lee Wilson and the Transformation of Agriculture in the New South and coauthor of Arkansas: A Narrative History.